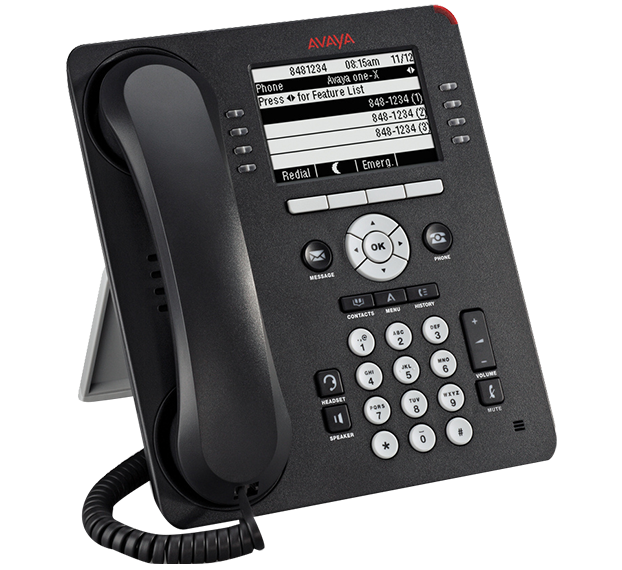 The Avaya 9608 phone is one of the entry level models in the large 9600 IP series lineup. It’s designed with everyday users in mind and although there are numerous Avaya IP models above this, the 9608 is one of the most popular IP variants. For more information about the Avaya 9608 phone please read below. The Avaya 9601 IP handset is the new entry level phone handset from the Avaya premium 9600 series IP handset range. Although basic, and priced accordingly, it still provides users access to the everyday features they need. The Avaya 9601 is the perfect handset for kitchens, waiting rooms, temporary desks, retail showrooms and the like. Even though there are 9 models in the 9600 IP range the next model up, the 9608, is the most popular for the typical IP office rollout. If you're looking for a virtually identical - but less expensive non-IP version of this phone, check out the popular 9504 phone handset. If you want to stick with IP but would like a handset with more features, take a look at the 9608 IP, 9621G IP or 9641G IP. Like all IP handsets, the 9601 IP phone is automatically recognised by the Avaya IP500 pbx phone system the moment it is plugged into an existing Ethernet port. This makes moving staff around a breeze. Plus, being IP, you don't need to run a second cable to the 9601 phone and can simply piggyback your computer and phone off the one Ethernet port. If you like the sound of the 9601, or any other Avaya IP handsets, and would like to try it for yourself, give the Infiniti team a call today. We'd be happy to arrange a no obligation demonstration, and answer any questions you may have about finding the best phone system and handsets for your business.